Developers are at it again with more options for Doral real estate. This time it is a new, huge development that almost a city within a city. 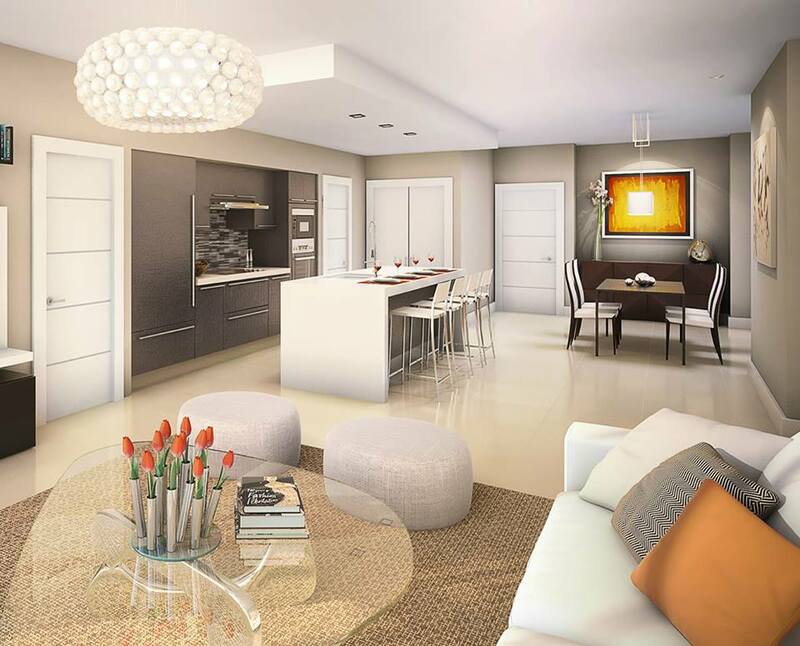 Midtown Doral is a pedestrian-friendly community centered around a spa-sized clubhouse. It features six buildings that each have eight stories each housing (153) one, two and three bedroom units and retail/business on the first floor of each building. In addition, plans call for four-story garages placed throughout the development. Corridors and walkways flow from building to building each of the building in such a way to make getting around Midtown Doral very easy and quick. Midtown Doral is the area’s first development that LEED certified mixed used complex. The brains behind this futuristic design come from a joint effort between Studio Architecture & Design, Optimus Developers, and Pascaual, Pérez Kilididjian. Other Doral communities designed by any of these architectural masterminds include the Promenade at Doral, the Reserve and Milan Doral just to name a few. Does mid-town mean anything? 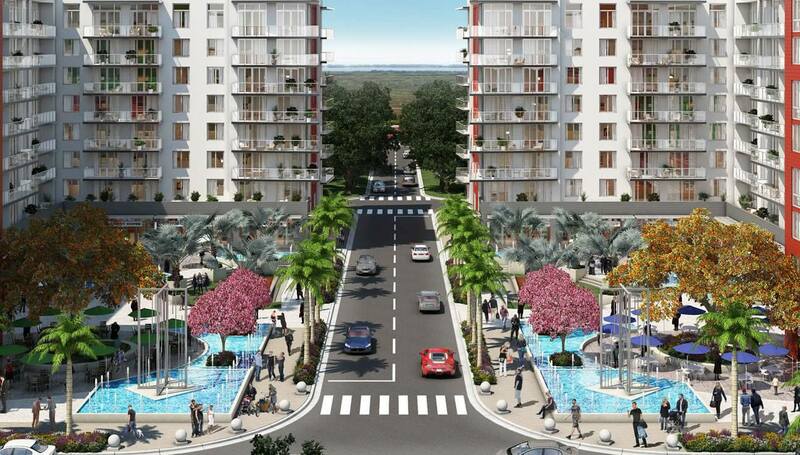 Midtown Doral is located in the heart of Doral within close proximity to all that is in Doral. First and foremost, it offers easy access to the Turnpike, Palmetto Expressway and Dolphin Expressway making it ideal for professionals and part time residents who want to get in and out of South Florida easily. Additionally, if the shops and restaurants that will occupy the ground floors of each building are not enough, Dolphin and International Malls are short drives away as is Miami International Airport. Avid golfers can be at the Doral Resort courses or any other in the area in a very short amount of time. The plans will include a lot of extras to make living at Midtown Doral similar to being on vacation all the time. Residents will have so much at their fingertips. Probably the focus of the community is the Club House. The grand entrance of this huge facility will lead to so many options inside. Not only are there a lounge and bar, but residents and guests can enjoy dining at a restaurant or café inside the facility or outside where they can people watch and enjoy the warm Florida breezes. Other extras at the Club House include a salon and spa, state of the art fitness center with the most up to date equipment and group classes, sports courts that accommodate various sports, and an outdoor pool with extensive pool deck and cabanas. For those who work at home, there are meeting rooms and an office center. Residence designs show unbelievably modern and gorgeous homes with floor to ceiling windows, impact resistant sliding doors and advanced smart building technology with ultra-high speed internet. Some of the smart technology features include automated window blinds that open or close based on the position of the sun, music throughout the house controlled from central panel, automated control panels for lighting, and keyless fingerprint door entry. Residences also have large balconies and terraces some that wrap around corner units, custom walk-in closets, and designer kitchens with quartz counter tops, stainless steel appliances, European cabinetry with self-closing drawers, and more. The spa-like baths feature porcelain sinks, custom finished floors and walls, and frame-less glass showers. Construction at Midtown Doral is scheduled to tentatively start in the fall. 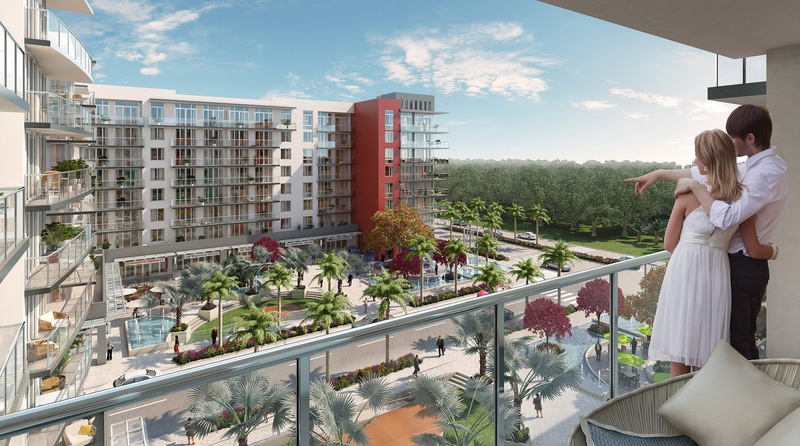 Midtown Doral residences will include one, two and three-bedroom units with square footage ranging between just over 1,000 square feet and over 2,000 square feet. List prices start in the upper-$200s and climb to about $500K. This is a great community for investors acquiring rental property. Rental rates are strong with one-bedrooms starting at about $1,400 and three-bedrooms topping $3,000. 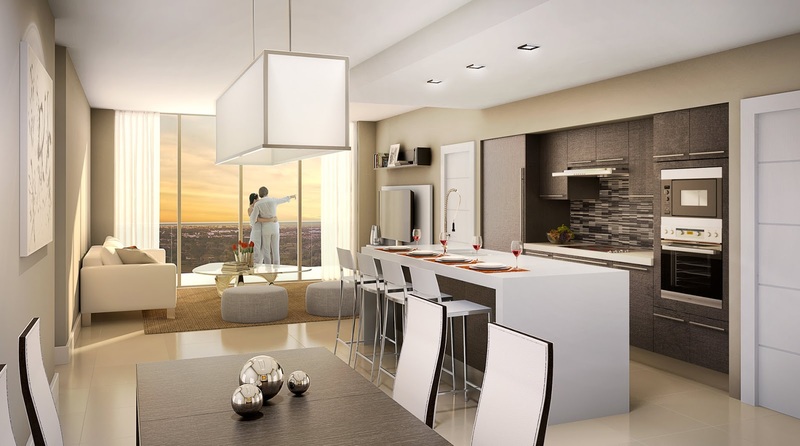 Because Midtown Doral is such a unique property, rentals will be in high demand. To purchase property at Midtown Doral, buyers must put down 50 percent of the purchase price broken down into five payments with the rest obviously due at closing. It is important to note that the first building is almost sold out which highlights the interest in Midtown Doral. Midtown Doral is such a unique idea and planned community. In fact, no other Doral real estate compares to Midtown Doral. It is destined to be a leader condominium community that will definitely be duplicated and developed in other areas of South Florida as well as the rest of the country.